Welcome to the official site for the Miniature Horse Association of Australia Inc. Unique, loveable, full of character and a delight to own……. confused with a Miniature Pony or Shetland Pony. or 96.50 cm, please refer to our Breed Standard for more information. In Australia, Miniature and Small Horses are the fastest growing breed as their size, temperament and character endears them to people of all ages and from all walks of life. Children are naturally attracted to them, people with small acreage are able to support and breed them therefore creating their own mini stud. Former horse owners can continue their love affair with horses, feeling less challenged by the burden of caring for a larger equine. Miniature and Small Horses are shown in halter, harness classes and performance events including trail and jumping, many are simply kept as pets. People returning home from stressful jobs find companionship and relaxation in these gentle little horses and they provide the perfect cure to loneliness. 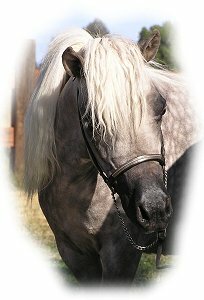 Would you like to know more about this incredible breed please visit our contact page to have your questions answered by one of our Committee persons. The Miniature Horse Association of Australia Inc. was founded in 1989 to provide for an Association dedicated wholly and completely to one breed of horse - THE MINIATURE HORSE. Membership in MHAA is available to all persons who subscribe to the aims and objects of the Association. Associate membership is for interested persons who do not own a registered Miniature Horse; Regular membership is open to persons who own registered horses. Only Regular members have voting rights in the Association and only Regular members are eligible to hold management positions in the Association. 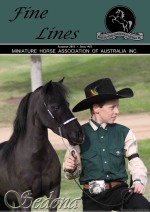 The magazine "Fine Lines" is published by MHAA, this publication is an excellent source of information about the breed, the studs involved, the care and management of Miniature Horses and current events and results. 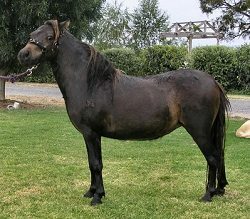 Miniature Horses are exhibited at many shows throughout Australia. The Association conducts a National High Point Competition and some states also hold an annual State High Point Competition for owners.Contact us for more information. It is also timely to remind Members that Stallion Breeding Reports (Stallion Returns) MUST be printed in landscape format, NOT portrait format. When printing from the website, DO NOT ADJUST ANY PROPERTIES OR SETTINGS, SIMPLY PRESS ?PRINT?. Stallion Breeding Reports (Stallion Returns) submitted in portrait format will not be accepted and will be returned. With regard to your Stallion Breeding Reports (Stallion Returns): always remember to include all outside Mares, as well as every Mare served, even if they are not registered MHAA? and remember to keep a copy for your records. Remember that a Tax Invoice/Receipt is always sent from the office on receipt of your Stallion Return. If you do not receive one within 21 days of posting your Return, contact the National Secretary or email the admin@mhaa.com.au , to make sure it has been received. Remember your prefix is the name that will be added to the name of a horse you have bred so make sure it is not too long or when the pedigree is listed on a registration certificate all the name may not fit on the certificate. if your prefix is "small farm" that is all you need to put on your Prefix form if you put "Small farm Miniatures" that will be the beginning name of horses you register. example: "Small farm Miniatures she's a pretty girl" so as you can see it is far too long. 3. Horses 12 months up to and not including 24 monthsof age shall not exceed 32inches in height. 4. Horses 24 months up to and not including 36 months of age shall not exceed 33inches height. 5. Horses 36 month amd over shall not exceed 34inches in height. 2. Horses 12 months up to and not including 24 months of age shall not exceed 36inches in height. 3. Horses 24 months up to and not including 36 months of age shall not exceed 37inches in height. 4. Horses 36 months and over shall not exceed 38inches in height. There was a Resolution passed last year, introducing a new Rule 20.11, with regard the recording of DNA in our Registry. Every entire used to cover a mare/s is to have DNA on file prior to being used. This is to come into effect for the 2012/2013 breeding season. The wording of this Rule will put the Association in a position of refusing Registration of some foals, with no opportunity to ever have these foals Registered, other than ?unknown, unknown? parentage after they reach the age of two years old, if the Stallion?s DNA is not lodged with MHAA, PRIOR to the Stallion SERVING Mare/s. In addition, it could be read that it applies only for the 2012/2013 breeding season. The National Committee now believe that the Rule as it stands, does not lend itself to the recording of DNA of Stallions into our Registry, without causing major concerns for Members and believe that this would be an unacceptable situation and in no way in the best interest of the Association or its Members. Having taken advice, the National Committee unanimously agree that this Rule needs to be changed and believe that this is the most sensible and workable way around resolving a situation, which could have been detrimental to the Association. Every entire used to cover a mare/s is to have DNA on file prior to any subsequent Foal registration. This is to come into effect from the 2012/2013 breeding season. What does this mean to our Members? You must still submit a Stallion return in the same way as always. If you are going to register Foals, born any time after August 1st 2013 the sire must have DNA on file with MHAA before the foal can be Registered. Where you source your DNA results from is up to the Member. Our Registration papers have been modified to include a field specifically to show DNA, parentage qualified, colour Genetics etc. Send in your original paperwork with DNA results and you will receive new updated paperwork showing on the paperwork that the horse has DNA on file with MHAA. If you do this before July 31st it will be done at no cost. If you send in DNA results for a permanent registered Stallion after July 31st 2012, there will be an $11.00 fee to update the paperwork. If you send in DNA results at an upgrade, temporary adult or permanent adult, it will be recorded and included on the paperwork at no extra charge. You can voluntarily send in DNA results for Mares and Fillies, this will be included on paperwork at no charge if done at an upgrade. This is taking the Stud Book of MHAA to a new and exciting level of professionalism, in line with other breed Registries who truly value the integrity of their breed and we congratulate the Members of MHAA for having the foresight to embrace this change. Over the next few days, we will email as a separate E-News, information on DNA Typing and Parentage Testing, giving information on alternative labs that can be used, ie the Qld lab through MHAA and also via the American lab. This information will also appear in the next edition of Fine Lines. Young Foals in the show ring. Foals under the age of 4 months must be accompanied to the show ring by their Dam and must be trained to lead on a halter. $22 ANNUAL FEE UNTIL 1ST AUGUST 2009. MHAA Financials and other reports. Please find the following reports for Members information. Welcome to MHAA Presidents Message Board. Hi Everyone, As another term ends & a new one begins I would like to thank all the Members who have supported the National Committee Members & myself over the past year & contributed to the ongoing success of our Association. Your contributions are vital to assist us to continue to move forward & make the Miniature Horse Association of Australia one we can be justifiably proud of. We look forward to your continual support & encouragement in the future. We are constantly attempting to bring in new,innovative ideas & to continally inprove where possible to make things better & easier for our members. Please let us have your constructive feedback on anything you feel you would like to communicate to the Committee.,its your Association & we always strive to ensure that your wishes are our primary consideration in all things concerning the Association. I do hope all members are enjoying a successful breeding & showing season. I think our breed has progressed so very much,especially in the last five years or so,I have seen some truly beautiful examples of horses in miniature in all states of Australia. The last year has been one of highs & lows for your National Committee members. As you know we are all volunteers & I feel all on National Committee should be commended for their dedication & the selfless way they give of their time. Without their hard work your Association would not be able to function as it does,we all come in for our share of criticism at times,sometimes with justification,but more often not,so please remember these people do what they do for yur Association out of the kindness of their hearts & I think they deserve your thanks - something they rarely get. I look forward to meeting as many members as I can personally & have a chat so please if you see me at a show or event come over & introduce yourself. Please do not hesitate to contact the national Committee if you have any queries,questions,ideas or something we can assist you with. Hope to see you all soon. Regards Margaret Lawson President. When buying a Miniature Horse, please ensure that all paperwork is current, this is shown clearly on the paperwork. If you can view (because of distance), ask for copy of both sides of paperwork. If you buy a mare in foal please ENSURE you obtain a service certificate from the vendor/seller and where possible sight the receipt from MHAA Inc office showing the mare has been recorded on a stallion return. On our forms page are all the relevant forms need for joining, renewals, registration, upgrading and transferring. Please take careful note of the checklist, there is a $11.00 handling fee on incorrectly submitted paperwork. This form is required to be filled out to register / upgrade/ lease any horse with this association and needs to be fully filled out. When you submit paperwork for registering or upgrading (e.g. from a foal to an temporary adult) you need to include photos one of each side. The photo should be at least 80% of the horse and of normal photo size. The photos should show clearly all the markings on body and head. • Height Certificate - Your horse needs to be measured by another current member or vet other than the breeder, yourself (owner) or a family member. • A copy of of both sides of any registration papers from any previous association to which the horse was/is registered as some of these are recognized and those pedigrees will/can be included on your MHAA registration papers ie: AMHA (USA), AMHR (USA), AMPS and APSB. • A Service Certificate if you did not own the sire at time of foaling. • Ensure you have included the correct fees (money order, cheques or credit card details and signature) for the registration/transfer with the application. • For a lease the owner fills in the form and signs the bottom of the page. Transfer due to Lease - Terms of leases are no longer required by the association. All members should note that although the Association records leases in its data base and recognizes them on the registration certificates the terms and conditions of the lease are a private matter between the parties involved in the lease. When buying a MHAA registered horse, the transfer fees is the responsibility of the seller. Our State Delegates are there to help, so visit our State page for your nearest delegate and the States Web Site. You can find all the forms needed for membership and registering your stock online on our forms page. Stallion returns 1st Aug each year. Membership due 31st July each year . Mare nomination forms 31st July each year . Membership of MHAA Inc must be cancelled in writing . Requests for duplication of registration certificates must be in writing with details why it is required. All paperwork must be returned to the MHAA office the address is on the paperwork. All paperwork must be accompanied by a work order. Upgrades can be sent in one month before due date. No horse can be shown unless it is branded or microchipped . The horses’ brand must be able to be read. MHAA Inc does not accept faxed information. Q. I have purchased a horse which is not registered with MHAA can I register it. A. Yes provided it is Two years or over and meets the height requirement. You will also need a Certificate of Soundness for both Male and Females. Q. I bred a foal and did not lodge a stallion return can I register the foal. A. Yes you will need to DNA Stallion, Mare and foal to parent Qualify or you can wait until the foal is two years old and you can register with unknow parents. Q. I have a horse registered with AMPS can I register it with MHAA. A. Yes provided you send in a copy of the AMPS papers with the application. 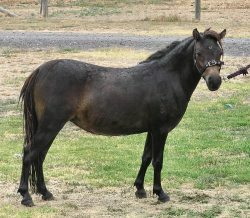 Q. I have a mare which is registered with MHAA and has just foaled can I register the foal with my prefix. A. Yes, if you are the registered owner of the mare, if not the foal will need to be registered in the mares registered owners prefix, provided a stallion return for the mating was lodged. Q. I registered my foal with a brand but would like to micro chip as well can I do this. A. Yes you can, you will need to send in the original certificate along with the microchip number, there will be no charge if the foal is under twelve months. Q. I have bred with my 2 year old colt but have not upgraded him or got a Certificate of Soundness. Will I be able to register the foal? A. When you have upgraded the colt with the COS (Certificate of Soundness) you can register the foal provided you have lodged a stallion return for the mating. However you will not be able to show the colt until he is upgraded. Q. How do I DNA and where do I get the paperwork. A. You will need to send a workorder along with the correct fee and microchip form which you can DOWNLOAD from the web site. You will need a DNA kit for each horse WHICH you wish to DNA. On receIpt of the kits you will need to pull hair from the BASE OF THE MANE INCLUDING THE ROOT BULB and attach to the card supplied with the kit. fill out the slip and stick to the hair TO THE card.you then send off to the lab in the envelope supplied. Results will be sent to you when completed. Q. I've lost my paperwork can I get another copy. A. Yes you will need to process a workorder and a written and signed letter stating what has happened to the old paperwork. If you are not the current owner then the that person must provide the written letter. Send Certificate Of Soundness with two year old upgrade of colts or before use of a breeding stallion. Use this form to change address,email,phone number. BUMP IN: 4pm Monday 15 April, 2019. Members arriving prior to 4pm will have to go to the South Truck Park until 4pm when Members will be given access to the Stables. NATIONAL SHOW DAYS: Wednesday 17th April, 2019 to Sunday 21st April, 2019 inclusive. CLOSING DATE FOR SHOW ENTRIES: All Entry Fees for Classes to be paid by Friday 29th March, 2019. However these maybe paid later, with payment in full to be made by Friday 12th April, 2019. The trophy awarded to the appropriate class will be inscribed as having been sponsored by you, your Stud, or your business and acknowledgement of same printed in the Programme below the appropriate class. Sponsorship will also be acknowledged in Fine Lines. A small, sound, well balanced horse, possessing the conformation characteristics desirable of most breeds. In fact, if there were no size reference, the miniature horse might give the illusion of being a full sized horse. A miniature horse should show refinement and femininity in the mare, and boldness and masculinity in the stallion, at the same time, displaying an impeccable temperament. intelligence. Since the breed objective is the smallest possible perfect horse first preference in judging shall be given to the smaller horse for its age, when other characteristics are approximately equal. (i) Horses up to but not including 6 months of age shall not exceed 28” in height. (ii) Horses 6 months up to and not including 12 months shall not exceed 30” in height. (iii) Horses 12 months up to and not including 24 months of age shall 32” in height. (iv) Horses 24 months up to and not including 36 months of age shall 33” in height. (v) Horses 36 months and over shall not exceed 34” in height. (i) Horses up to but not including 12 months of age shall not exceed 34” in height. (ii) Horses 12 months up to and not including 24 months of age shall 36” in height. (iii) Horses 24 months up to and not including 36 months of age shall not exceed 37” in height. (iv) Horses 36 months and over shall not exceed 38” in height. set well apart, comparatively a short distance between eyes and muzzle, profile straight or slightly concave below eyes, large nostrils and a clean refined muzzle. An even bite is necessary, with no more than 3mm out. Overshot or parrot mouth is a disqualification. Medium sized, pointed and alert, tips curving slightly inward. Clean and well defined, allowing ample flexion at the poll. Flexible and lengthy in proportion to body and style, blending smoothly into withers. and generally level top line, proportionate depth of girth and flank, trim barrel. withers, tail set neither excessively high or low, but smoothly rounding of rump. when viewed from front and back, straight true and squarely set when viewed from the side with hooves pointing directly ahead, pasterns sloping approximately 45 degreesand blending smoothly with no change of angle from hooves to the ground, hooves to be round and compact, trimmed suitably but not excessively for an unshod horse. Smooth and fluid gait in motion, naturally free moving. Any colour or marking pattern is acceptable, any eye colour is allowed, the coat should be lustrous and silky. Good temperament is of the utmost importance - curious, alert, intelligent and friendly, poor or vicious temperament is considered a fault.